Originally released in 2010, Apple’s full sized 9.7″ iPad has largely looked the same for the past 2.5 years. It actually got ever so slightly heavier and thicker in 2012 when the first iPad with Retina display came along. Couple that with an impending iPad Mini with Retina display and many wondered if the iPad would remain a must have tablet. 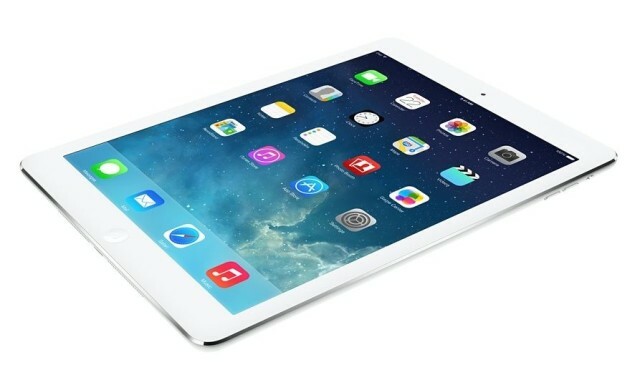 Luckily for us, Apple raised the bar again and announced the iPad Air at their event last month. The iPad Air is available in Space Gray or Silver, Wi-Fi only or Wi-Fi + Cellular, and storage capacities of 16, 32, 64, or 128GB. The 16GB Wi-Fi model starts at $499 while the 16GB Wi-Fi +Cellular model is $629. Each increase in storage will cost you an additional $100, topping out at a whopping $929 for the 128GB Wi-Fi +Cellular model. This entry was posted in Review and tagged Apple, Apple Review, Apple Tablet Review, Best iPad, Best Tablet, FaceTime, iOS, iPad, iPad Air, IPad Mini, iPad Review, New iPad, New Tablet, Retina, Retina Display, Tablet Review, Tech, technology.